I found out yesterday that venerable FOX series The Simpsons has not been renewed yet. For those who don't know, if renewed, it would be The Simpsons 27th season making it, for the 7th year in a row, the longest running scripted series in American television history. I stopped watching The Simpsons after the 23rd season and felt it really went downhill after the 11th but if other people enjoy then whatever. 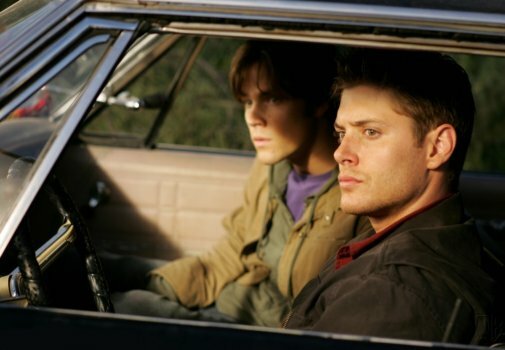 From what I hear, there are people who like Supernatural and I don't understand that either. from Lawrence and nothing supernatural actually happened. According to this tweet from Ericka Isabel Vega, who works in the animation department for The Simpsons, the renewal is even past the standard contractual days. Every time someone on The Simpsons runs across someone who wants the show to end, they cry about losing their job. This happened a couple years ago from someone who worked on the music. One would assume that the people who work on The Simpsons are some of the best and that, no matter what season you worked on, having The Simpsons on your resume will open many doors. I always think that the worst times to work on a TV show are the first season and any season after 7 because cancellation is lurking around every lower rating and lackluster episode review. In television, losing your job is inevitable. As a TV dork, I find this stuff fascinating and always check to see which show is about to be cancelled or which show that maybe should've ended several years ago is going to renewed again. It's a fascinating microcosm of pop culture that while set in stone, is still ever changing. Based on what I know about Brutus and Gladys' ages, Wilberforce should be glad that he is even alive. Also, is it me or is there some sort stigma these days about only children? The last panel of Kewpie in Wilberforce's clothes is pretty damn funny.